For the past eighty years, the beautiful words of the Lebanese-American poet Kahlil Gibran have graced everything from greeting cards and wedding invitations to inspirational wall hangings and corporate motivational literature. By one account, Gibran is the third bestselling poet of all time, after Shakespeare and Lao-Tzu. In this beautiful gift book, we discover the essential wisdom about what it means to be alive. 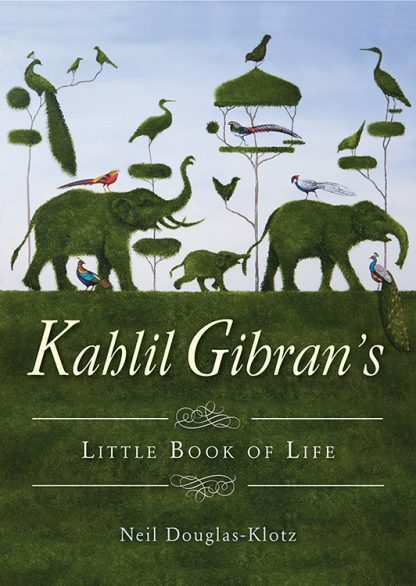 For Gibran life is the energy that saturates all we see and feel�as well as what we can only imagine. Here are over 100 fables, aphorisms, parables, stories, and poems from the author of The Prophet. Here on display is that visionary voice of comfort, love, and tolerance. connection to the one life we share. that breaks down all our dead branches. into the living heart of the living earth.